An interactive online film has been created to allow visitors to star in their own film in Blackpool and share it online with their friends and family. The move is to encourage more visitors to the seaside resort. Users can upload their favourite pictures to The Movie’s microsite www.blackpoolthemovie.com and automatically share their virtual adventure with friends and family online. 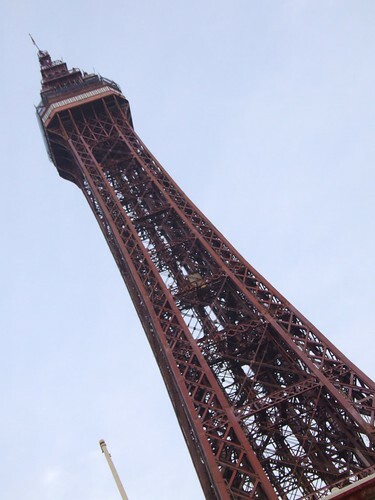 Blackpool: The Movie has been designed by Lancashire and Blackpool Tourist Board to encourage potential holidaymakers to visit the resort and to maximize internet chatter on social media sites such as Facebook, Twitter, MySpace and Youtube. The trailer provides a tour of Blackpool’s top attractions accompanied by a voiceover by the X Factor’s Peter Dickson. By entering their family name and home town, users will see their personal details become an integral part of the trailer, appearing on billboards, posters and lighting up the sky alongside a pyrotechnic firework display. All entries will be entered into a prize draw and for one family to win annual passes to Blackpool attractions. This entry was posted on March 17, 2010, 9:20 pm and is filed under film locations, films, Fun, North West, Tourist Board. You can follow any responses to this entry through RSS 2.0. You can leave a response, or trackback from your own site.